Working on a new line of leather journals this week – in Bloom. 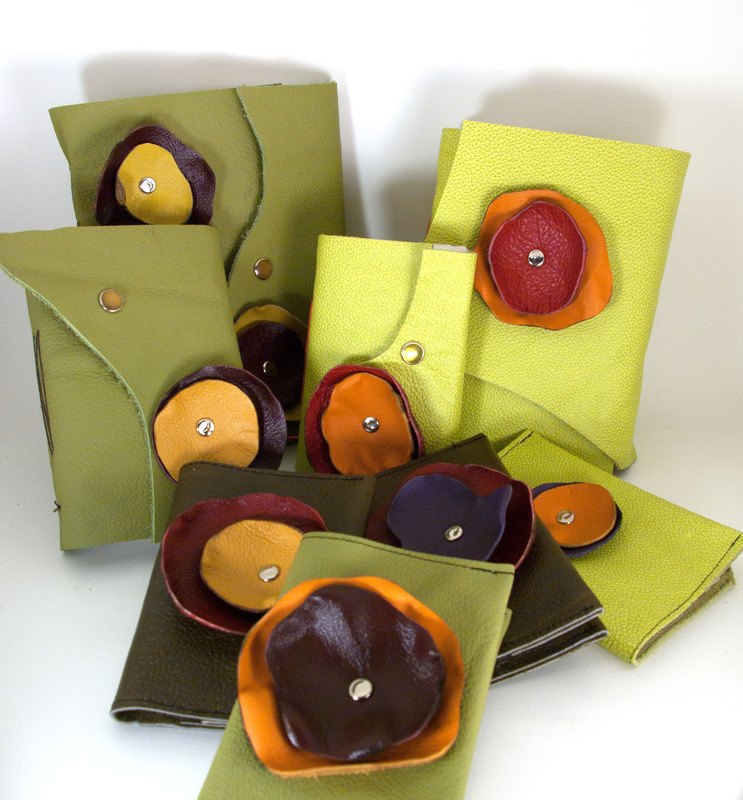 I have one in each and every size of journal I make all on Lovely celadon, yellow green, or pebbled brown leathers featuring leather flowers in red, mustard yellow, maroon, and eggplant. Find them in the shop! Next week look for Key journals in all shapes and sizes featuring antiqued skeleton keys! !